January 2017 – Simply Organised. Simply Beautiful. A qualified Interior Decorator with a passion for decluttering and organisation. Let me help you enrich your life by clearing the clutter and and transforming your home into something beautiful! With the beginning of a new year and many birthdays ahead (apologies if your birthday has passed for 2017 – Happy Belated Birthday! ), I thought I would share my birthday party planning ideas/tips. I’ll start with the ideas/tips this week and move onto the actual parties going forward. All but one of the parties I’ve held have been at home so I will prepare this list as if I am hosting the party at home. I also set the date for the party so that I can let key people know (extended family members etc) the date. I look at the calendar to see when the persons birthday falls. I check for any public holidays/school holidays as having a party over a long weekend when people tend to go away can prohibit a lot of guests from attending. I failed to check this properly last year which meant Miss 5’s birthday party was on the same date as one her friends actual birthdays 🙊. I fine tune the theme and decide what I will actually be doing from the many ideas I’ve found through Google and Pinterest and spend time purchasing required items from party shops/Kmart/$2 shops/Spotlight/eBay. I also prepare the guest list and delegate tasks to extended family members. Mum O loves to cook so I always ask her to help with the food. 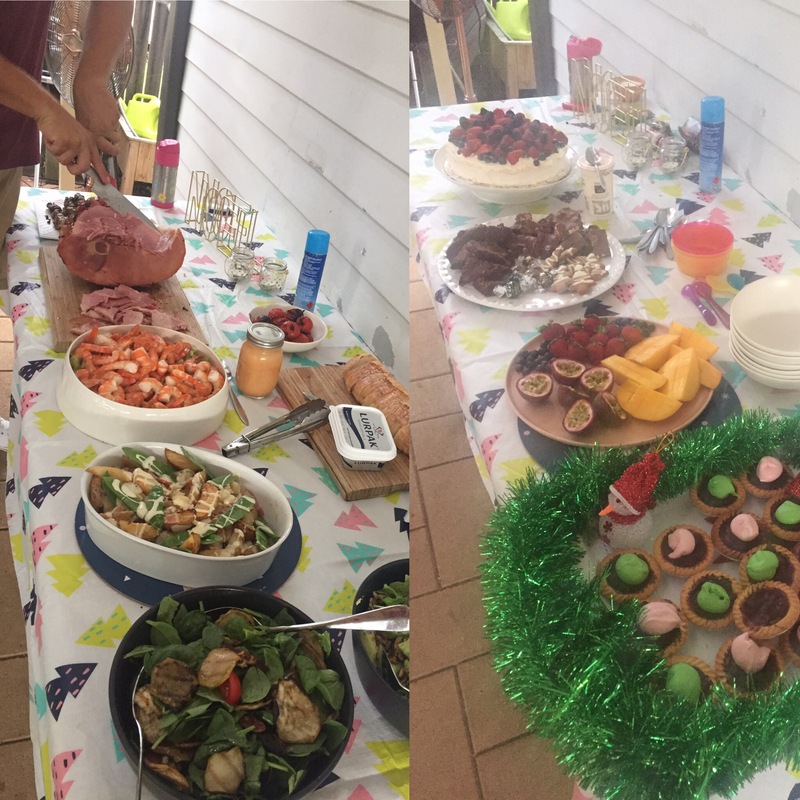 My SIL prepares a great fruit platter and my Mum makes a mean sandwich so I get her on board with that. I tend to ask my brother to collect the balloons on his way to the party and my Dad to bring the ice. By getting help, there is less for me to do on the actual day = less stress =friendlier hostess. I also prepare and print the invite now. I have done this a few ways in the past. I have purchased pre-designed ones from Etsy and eBay. I have used Martha Stewart’s Apple App and printed through Snapfish and I have also used templates through Snapfish. I send out the invites to all the guests with the RSVP due a full week before the event. In the past I have had a friend do the cake as the kids birthday present. He has since gone and had 3 kids and doesn’t have the time anymore. As I don’t want to spend a couple of hundred dollars on a birthday cake, I have learnt how to make some pretty fancy cakes myself. I head to the cake decorating shop and pick up supplies ready for me to commence making the cake when the time is right. My friends creations. So talented! Check RSVP’s. If there is someone who we really want to be there, but hasn’t RSVP’d, we will follow up, otherwise I take these to be final numbers and plan accordingly. I prepare the grocery shopping list and either go myself or process it online for delivery, depending on whether I have time or not to go myself. If any of the decorations need constructing, I tend to do these now and store away until the day before the party. I prepare the loot bags/guest gift. Depending on the cake I am making, I will also start making the fondant accessories for the cake. I contact family and confirm that they are still able to do what I’ve asked them to do for the party. I clean the house. I grocery shop or have the groceries delivered today. I bake the cake and ice the cake. I do a final clean. I get as many decorations up as possible. I ensure the dishwasher is on before I go to bed, ready for party day. I get out all dishes and platters needed for food for the party. Hubby and I move any furniture around that needs moving after the kids have gone to bed. Hubby mows the lawn/poop scoops/cleans the pool etc. I start laying out the dishes/platters ready for the food to be placed on them. I set up any final decorations. I pre-heat the oven ready to keep food warm until needed. I lay out the loot bags/guest gifts. I shower and dress for the occassion, ready to welcome the guests. Welcome guests and enjoy the party, hopefully not spending the entire time in the kitchen! 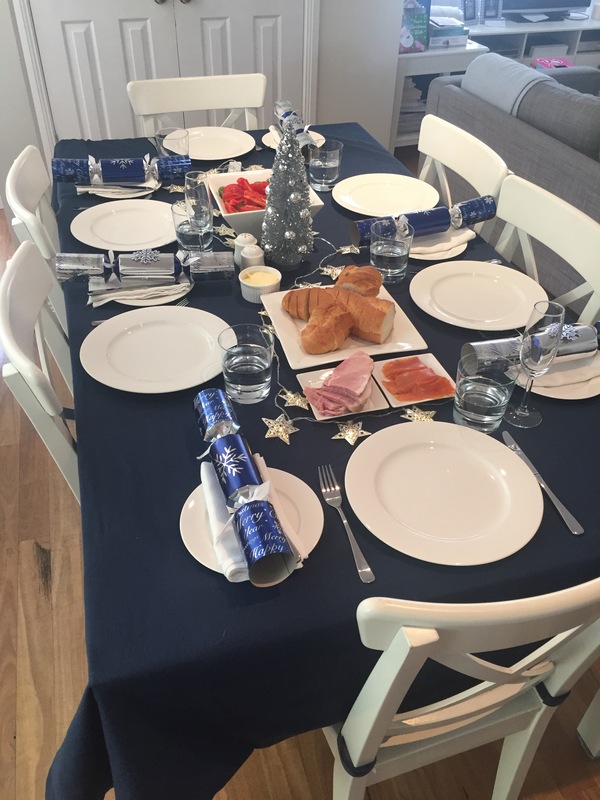 Are you hosting any parties this year? Do you do parties every year for your kids? Alternate years? Big one for you this year? We are fortunate enough to have enough room in our home for a playroom. 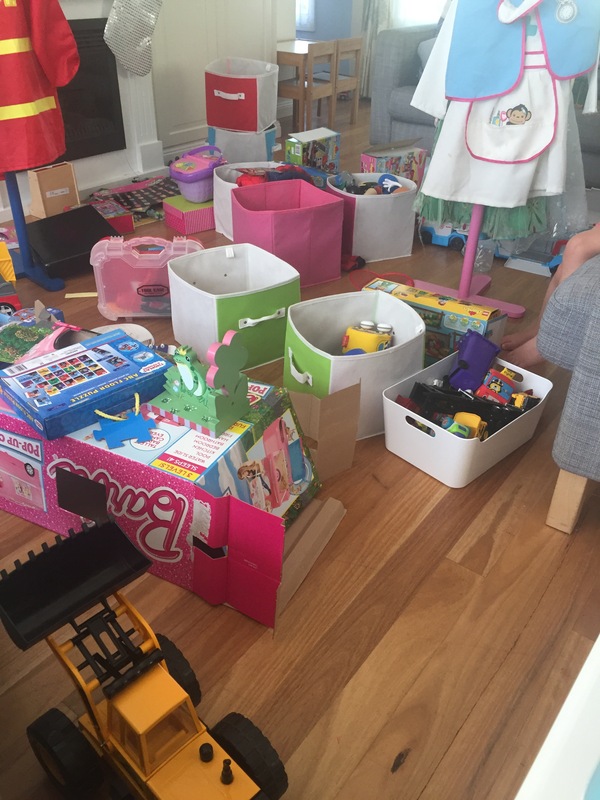 When Miss 5 was born, we kept everything in the lounge room but as she grew and received more toys, and then she was joined by her brother, I didn’t enjoy seeing the clutter all the toys brought. The playroom has been moved around and tidied so many times. At Christmas time the kids received even more toys and whilst we are of course grateful, not everything gets played with and it was time for a cull. I was unwell over the Christmas/New Year period so I asked Hubby to assist the kids on New Years Eve with completely emptying out the playroom and asking them to sort through and select what should stay and what should go to children who don’t have any toys. We have the 16 cube Expedit unit from IKEA (now called Kallax), a 5 cube Kallax and a 6 cube shelf (I can’t recall where we got it from). I use square cubes to store building blocks, musical instruments, one miscellaneous box for each kid etc. On New Years Day after giving everything a dust/wipe down/vacuum, I spent the morning going through myself and returning the keep toys to the playroom and sorting out rubbish for the bin and toys to go to daycare. My son had a lot of toy cars and toy diggers etc so I selected a few of each and discarded the rest. Some puzzles were too little for them. We had double ups of some books etc. I think about a quarter to a third of our rubbish bin was filled with rubbish and the large blue IKEA bag was filled to go to Daycare. Costumes/dress ups that no longer fit were passed down to my niece. Once it was all back and organised, the room felt better and the kids are now able to return everything to its proper place. Even 22 days later. Do you have a playroom? Do you cull the toys regularly? We came back last Thursday from a week in Mollymook. A full week of relaxation and swims in the ocean. Mum O arranged accommodation and the four of us, together with my sister-in-law and our friend, joined Mum O for a week of family time. Friday was all about checking in, heading to the beach and heading to the grocery store to gather supplies. We were so lucky with the location of the house, 5 minutes from Woolworths in Ulladulla and 50 metres from the beach with access at the rear of our property. Mum O was organised with dinner already made and just needing to be reheated which was great for our first night. 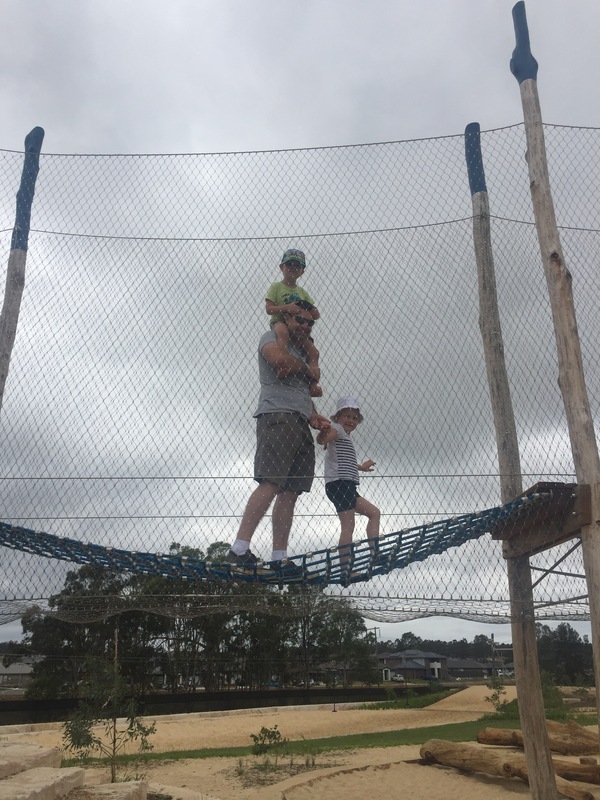 Our days were pretty much spent at our local beach, exploring other water destinations like Lake Conjola, the Bogey Hole and the Ulladulla ocean pool, following the kids on their bikes, eating out at local restaurants, eating, playing games, small amounts of shopping and napping. We ate out on four occasions. On Saturday night we headed to the Mollymook Golf Club for dinner in the restaurant. The service was very fast (which is fantastic when you have little kids) and the food was delicious! I enjoyed the Salt’n’Pepper Prawns and Squid. On Sunday we ate lunch out at Cupitt’s Winery. A superb location, with stunning views, live music, delicious wine and tasty food. We shared a Pulled Pork Burger, Ploughman’s Platter, Margherita Pizza and a Rocket and Pancetta Pizza. For dinner we headed to Bannisters Rooftop Bar and Grill. I have to be honest. We left feeling really disappointed with the service received here. The food was absolutely delicious, the kids were happy drawing and colouring in (which we supplied ourselves) but the service with extremely slow. My sister-in-law waited 40 minutes for a lemonade, meals were slow to arrive and empty plates stayed on our table for far too long. Frankly, the wait-staff looked like they wanted to be anywhere but there. As I said though, the food was delicious. I enjoyed the Yoder Smoked Pork Belly Sliders for my entree and the Prawn Linguine for my main. Due to the slow service, we didn’t have dessert. A bonus that this restaurant had was that it was a two minute walk from our holiday house. Tuesday night was a real treat. A bonus of travelling with family is that you may get the opportunity for a date night. When Mum O offered we jumped at the chance and I suggested to Hubby that we enjoy his favourite cuisine, Indian. He initially booked the Mango Tree Restaurant which overlooks Ulladulla Harbour but when he called and subsequently visited to change the time of our booking, something had come up and the restaurant was to be closed that night. Thankfully, just around the corner was another Indian restaurant called The Bay Leaf. We shared Vegetable Spring Rolls, Malai Chicken Tikka, Prawn Paneer Pakora, Butter Chicken and Lamb Methi Masala with Garlic Naan Bread. Everything was delicious, the service was very friendly and at a good pace. We then enjoyed a drive to Warden Head Lighthouse and then over to Bannisters Head and took in the sunset. We headed to the Ulladulla Harbour Markets on Sunday morning. They had the usual jewellery, homewares, candles and bric-à-brac found at most markets. We grabbed some tea/coffee and donuts there for morning tea. Mum O and I did the main street of Ulladulla. We looked in some boutiques and $2 store and made a few small purchases. I guess the main thing to take from this is whilst there are some shops about, Ulladulla is a place for the beach, not shopping. On our way home, we stopped at Berry for shopping and lunch. I escaped the family and tore off to fit in as much shopping as possible. Haven and Space appear to be in the process of moving from one side of Albert Street to the other side and there was a sale in the old store. 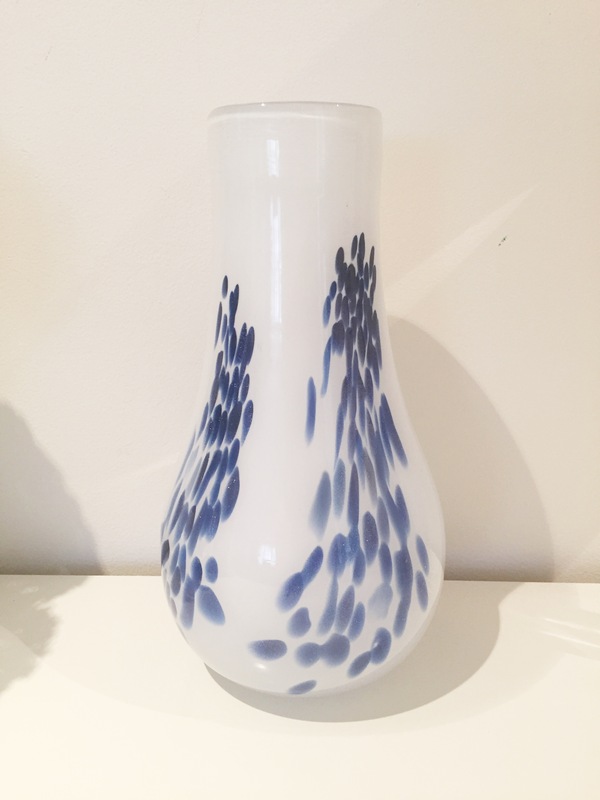 I picked up this beautiful vase for $20! Maison & More is another store I always pop into. 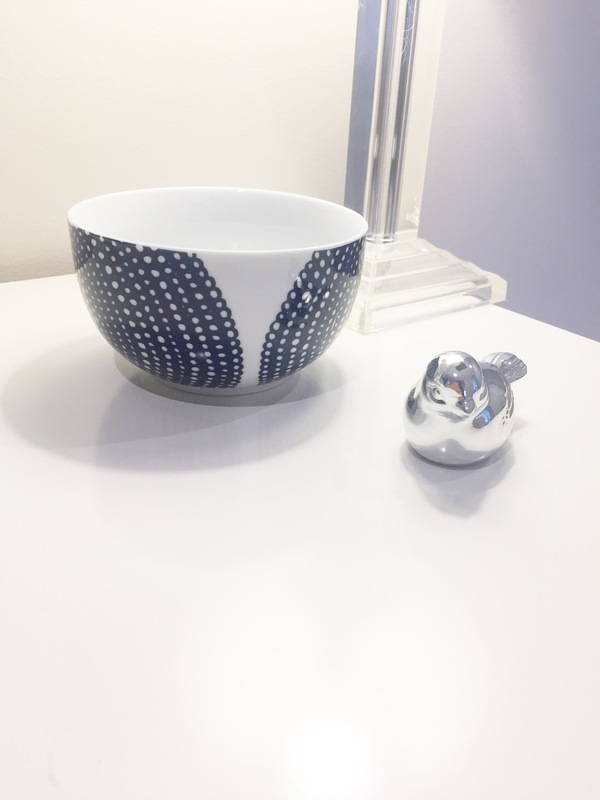 I purchased this little bird and bowl. We stayed at this holiday house from Friday to Thursday. It is in a superb location with beach access to the side of the property and only a 50 metre walk to the beach. The decor is very dated, but we were very comfortable. The sea breeze coming in the three sliding doors on the second storey ensured that the house didn’t get too hot. As I said, the decor is dated, but a full renovation would be a lot of work for the owners and would mean that the rent for this place would have meant it was out of our price range. I took a few photos of the interesting features/collections within the house. But you guys, the best thing of all was that I relaxed! I slept well. I got in the ocean. I was so relaxed, I even sported a plait at the beach! Who am I? We got home about 3pm on Thursday and we commenced unpacking immediately and had the washing machine going. So good to just get it done straight away! I am of course now planning our next Summer vacation. Suggestions please! The beach is a must on the to do list. Did you get away over the Christmas break? Any plans going forward? 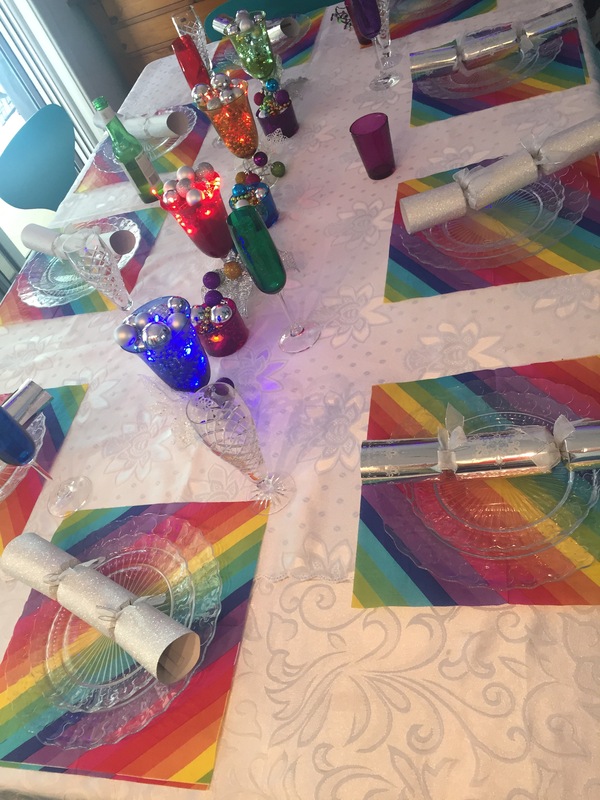 I finished up work on Wednesday, 21 December and I/we had plans to do all sorts of things – family fun/study/decluttering/organising things. Turns out my body/health had other ideas. I got a cold 😔. Not just a quick couple of days cold, but a cold that I seemed to get one symptom at a time and lasted two weeks. It started on 19 December with a runny nose, then a sore throat for a week and a half with a cough. 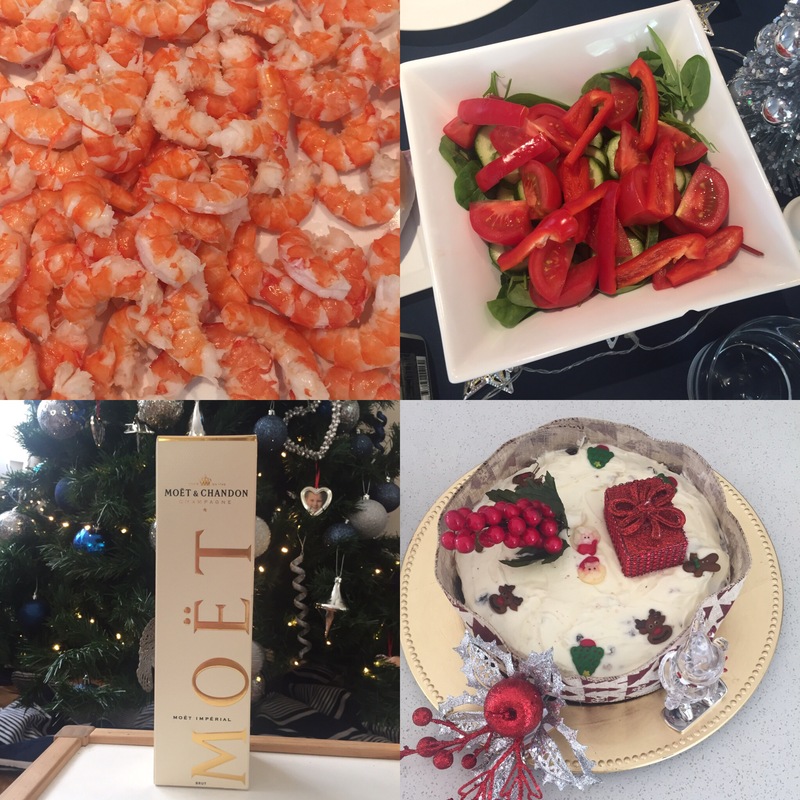 Christmas Eve was delightful! We headed to my brothers home and and he and his wife put together a delicious meal. 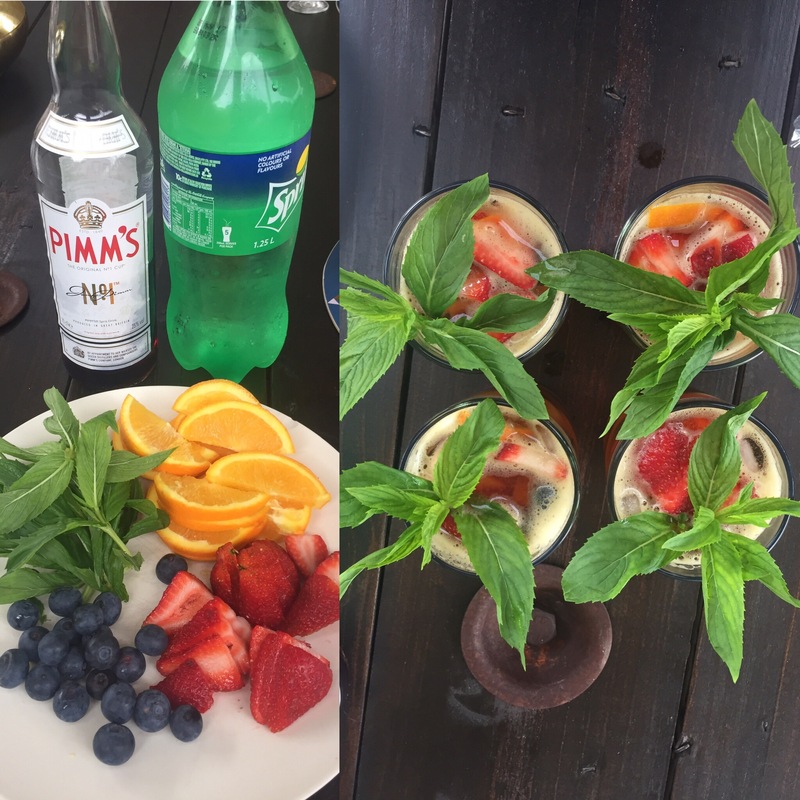 I brought Pimms. We sat outside and the kids enjoyed running around, riding scooters and bikes and creating little games. 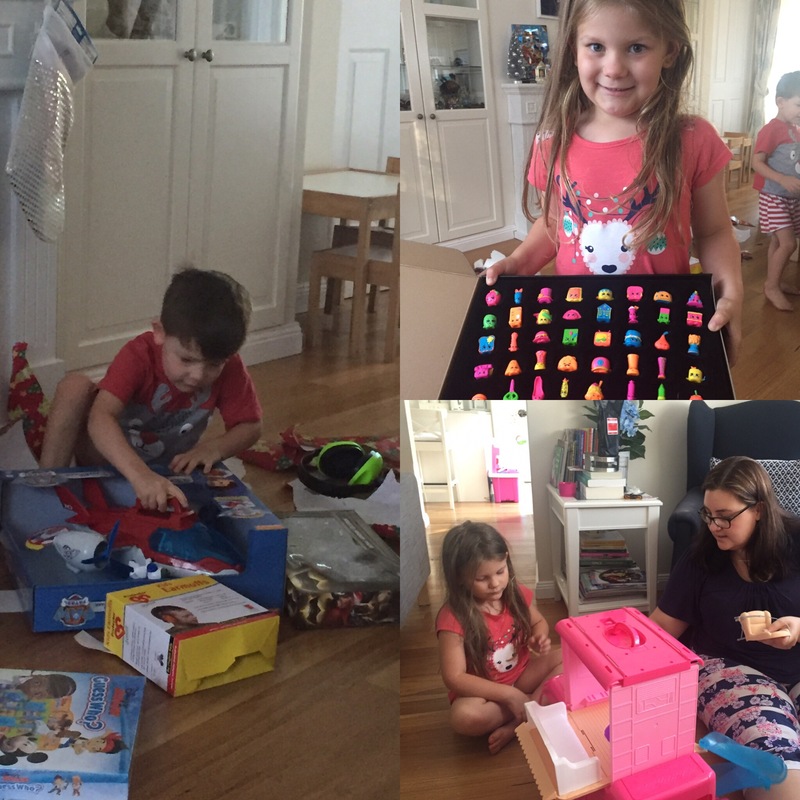 We huddled together in the lounge room and opened presents. 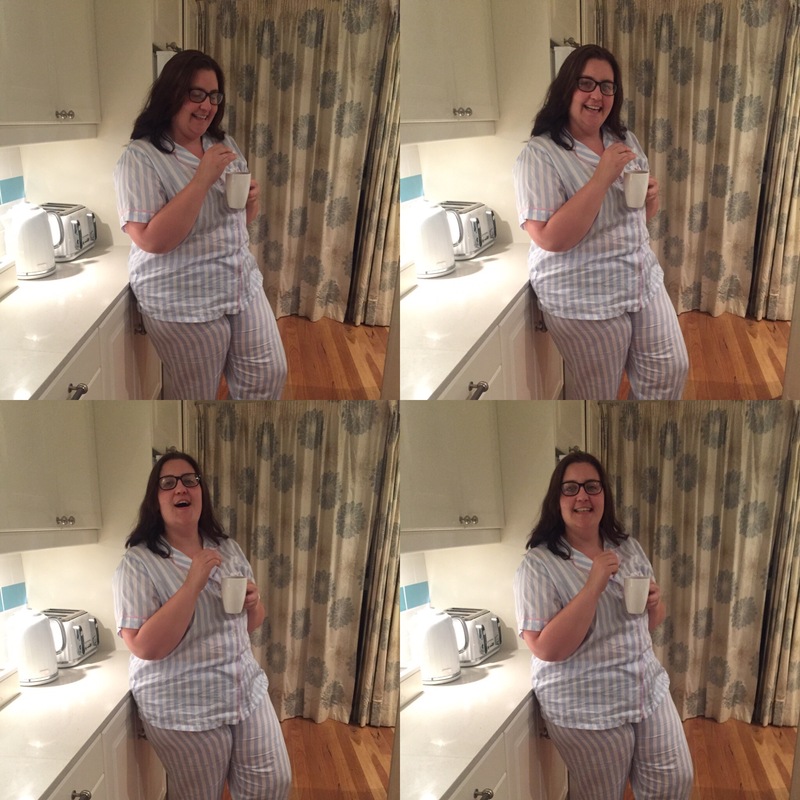 I did well, Peter Alexander pyjamas. When they aren’t in the wash, they are my pj’s of choice. I love, love, love them! 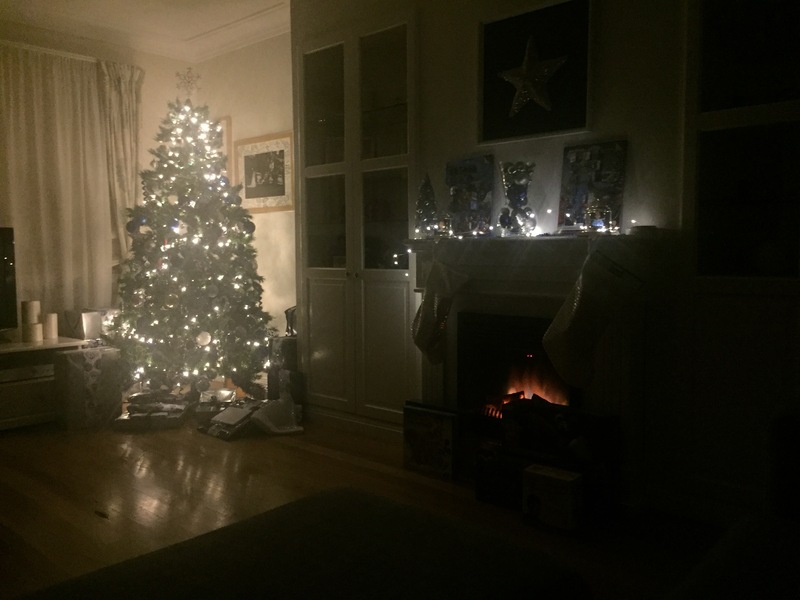 Once home, we popped the kids to bed so Santa could come and then enjoyed the Carols with the glow of the fairy lights. 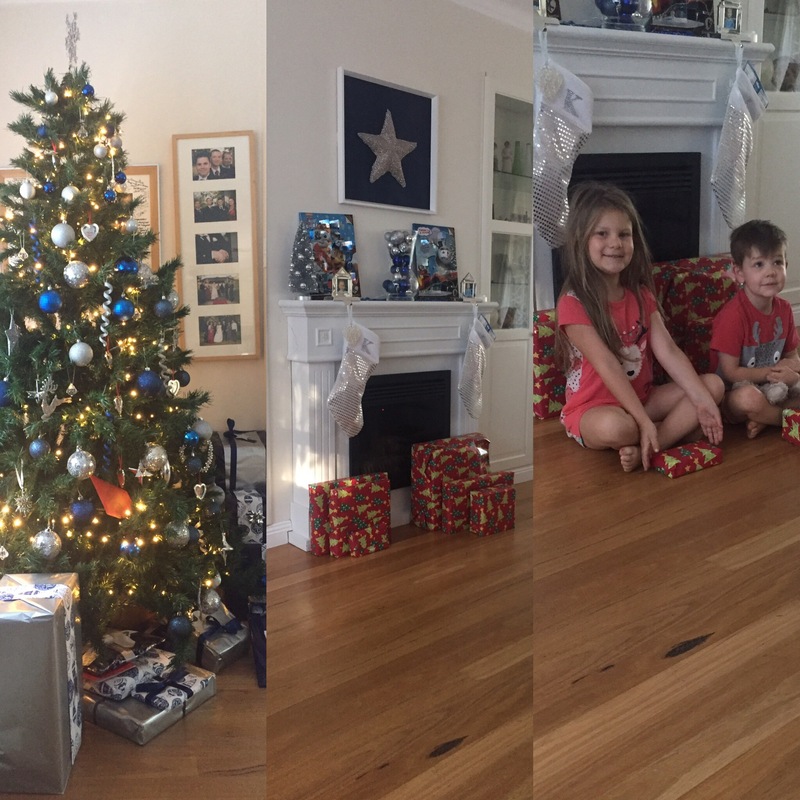 Christmas morning at home was slow and lovely. The kids loved their gifts and Miss 5 and I spent time putting the stickers on her Barbie Campervan and getting that set up. My Mum and Dad joined us for a light lunch and then we enjoyed a nap before heading to Mum O’s for present opening and dinner. Mum O asked Miss 5 what theme she should go with this Christmas. She said rainbow. Rainbow it was! 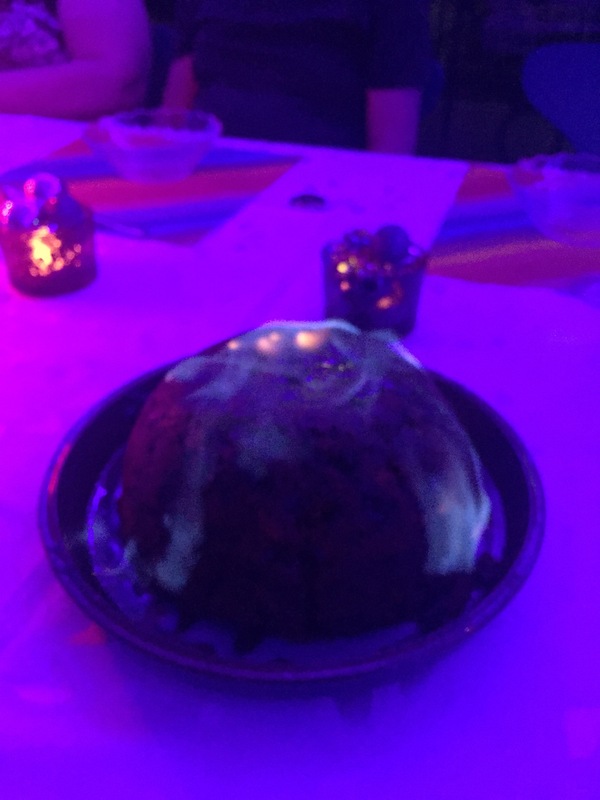 We also always set fire to the Christmas pudding. As you do! Unfortunately, I got really sick from there and spent the next few days in bed or in my armchair in the lounge room. 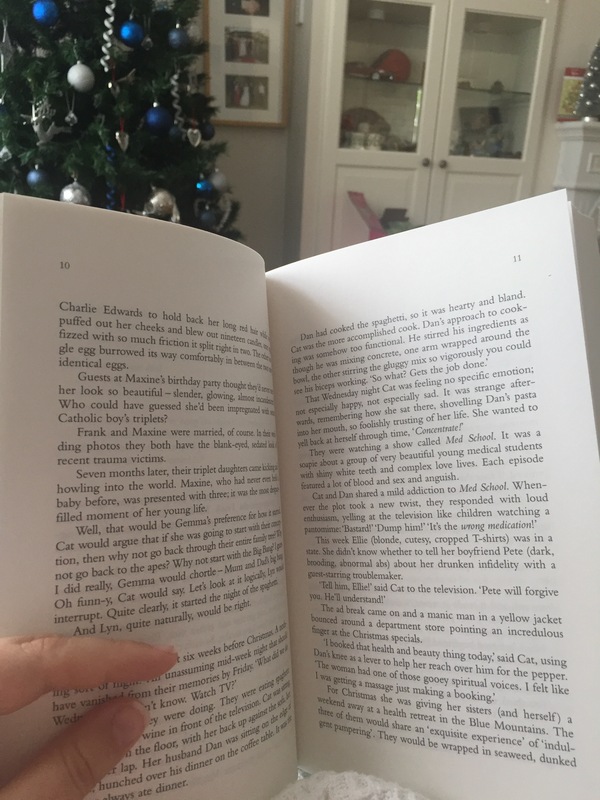 It meant that I got to do a bit of reading, snoozing and resting. I also slept here at night as my coughing prevented me from laying in bed. As I said earlier, I/we wanted to do so much. Trips to the beach, the park, catch-up with family and friends for play dates but I just couldn’t. I started to get some energy back on New Years Eve. I like to get the Christmas tree away by New Years Eve. It came down in the afternoon of New Years Day, so not too bad. On New Years Eve I got the kids to empty out their playroom of all their toys, ready for a declutter. They had a go through and then I had a go through. I filled an IKEA blue bag with goodies for daycare and I think a quarter of our main bin filled with broken toys. I’ll share the ‘after’ with you in a blog post soon. 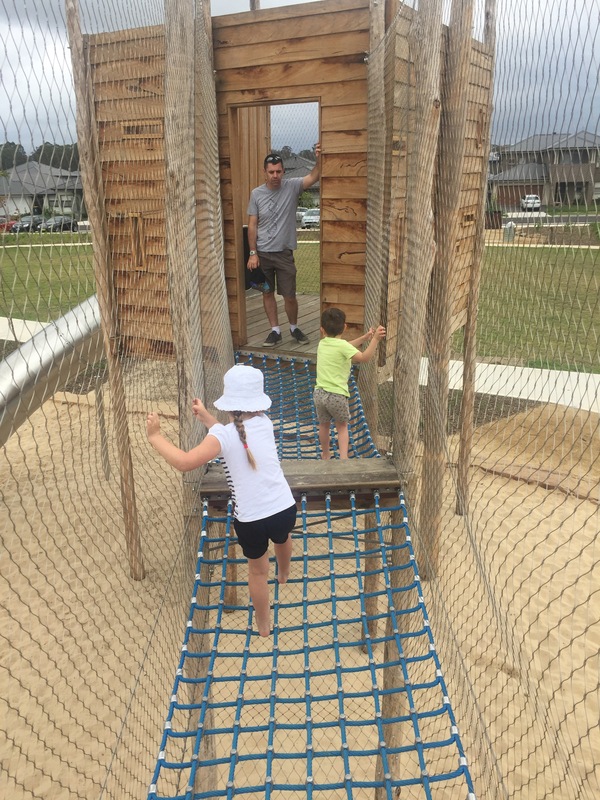 We finally got out and about on Monday morning though with a visit to a new park with my brothers family. Relaxed fun at its best! So tell me, how was your Christmas/New Year holiday? Are you back at work? Did you go away somewhere?